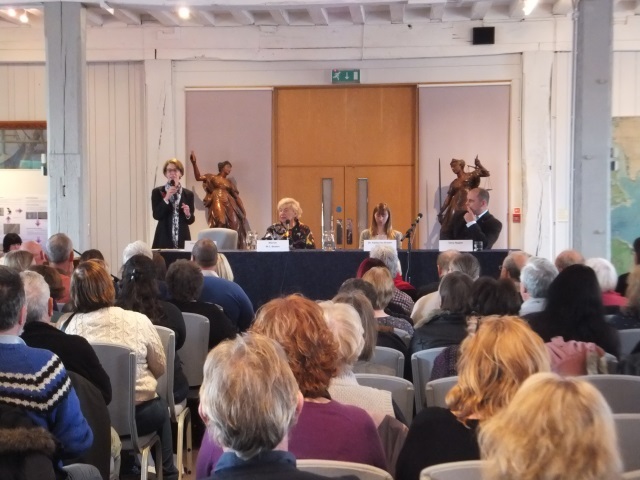 Over 100 people packed The Princess Royal Gallery at the National Museum of the Royal Navy in the Portsmouth Historic Dockyard on Saturday 8 November 2014 to hear two panel debates on crime fiction versus crime fact at the fifth annual CSI Portsmouth. CSI Portsmouth 2014, which is part of Portsmouth BookFest, was conceived by and is organised by internationally acclaimed crime author Pauline Rowson in conjunction with Portsmouth City Council Library Service. 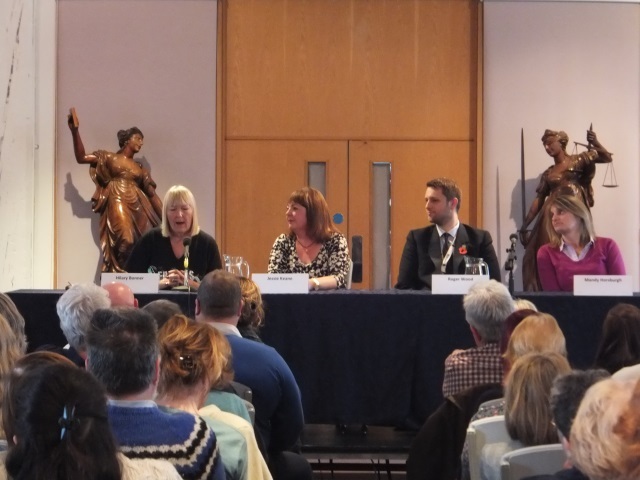 It brings together top selling crime authors, police and forensic experts for a one day entertaining and informative debate on crime fiction and crime fact. 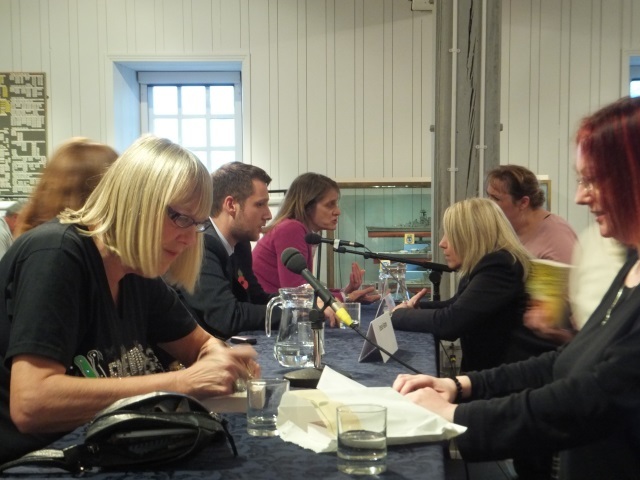 On the morning panel Pauline Rowson joined forces with crime writer M.C. 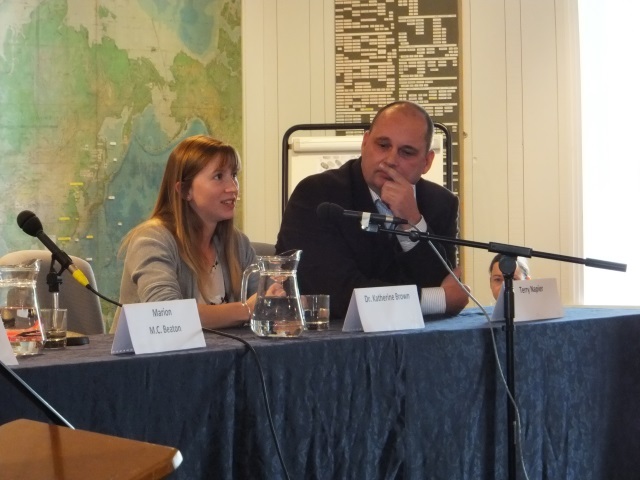 Beaton and with crime experts Dr Katherine Brown, a Forensic Entomologist at the Institute of Criminal Justice Studies, University of Portsmouth and Terrence Napier, Footwear Mark Examiner, with Hampshire Police. Pauline Rowson's crime novels are set in the Solent area and feature the flawed and rugged DI Andy Horton. They have been hailed in the UK and the USA as the 'Best of British Crime Fiction,' and have been translated into several languages including Chinese. The eleventh in the DI Horton series, SHROUD OF EVIL was published by Severn House in April 2014, while the first in her new crime series to feature a new hero, former Royal Marine Commando, Special Boat Services Officer Art Marvik, SILENT RUNNING, is to be published by Severn House in March 2015 with the twelfth in the DI Andy Horton series, FATAL CATCH, to be published in September 2015. M.C Beaton is the author of the Hamish Macbeth novels and the Agatha Raisin series. SOMETHING BORROWED, SOMEONE DEAD is the 25th Agatha Raisin mystery published by Constable & Robinson. She is the most borrowed British adult fiction author in libraries with over a million borrowings in the last year. 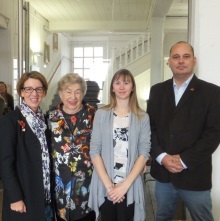 She answered questions about the inspiration behind her crime novels, her characters and how she researches them. Dr Katherine Brown, a Forensic Entomologist and Senior Lecturer in Forensic Science at the Institute of Criminal Justice Studies at the University of Portsmouth, talked the audience through the various stages of the development of flies and maggots in the decomposition of a human body, while Terrence Napier, Footwear Mark Examiner for Hampshire Police Scientific Services, explained how prints are taken at a crime scene and how they are analysed in the lab. 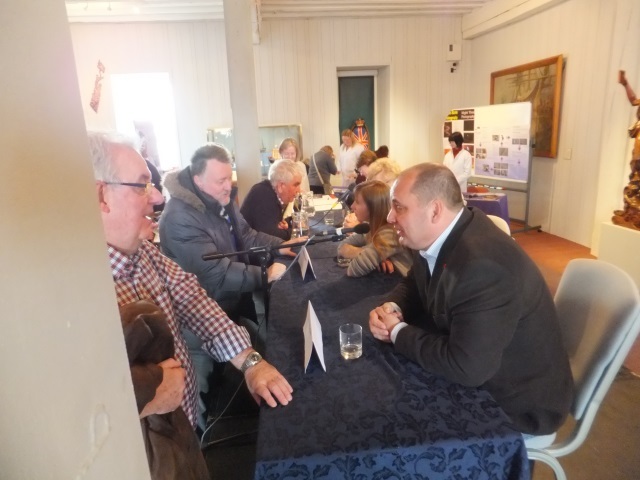 This was followed by questions from the audience, a book signing and the chance for individuals to chat to the panel guests. The afternoon audience at CSI Portsmouth 2014 were entertained with tales of drug busting, intelligence gathering and covert source recruitment. 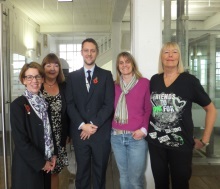 Crime authors Jessie Keane and Hilary Bonner joined Pauline Rowson and crime experts, Sergeant Roger Wood and DI Mandy Horsburgh of Operation Fortress, Hampshire Police. Jessie Keane talked about her gangland crime novels featuring Annie Carter, head of a London gang family and how her background has influenced her writing. 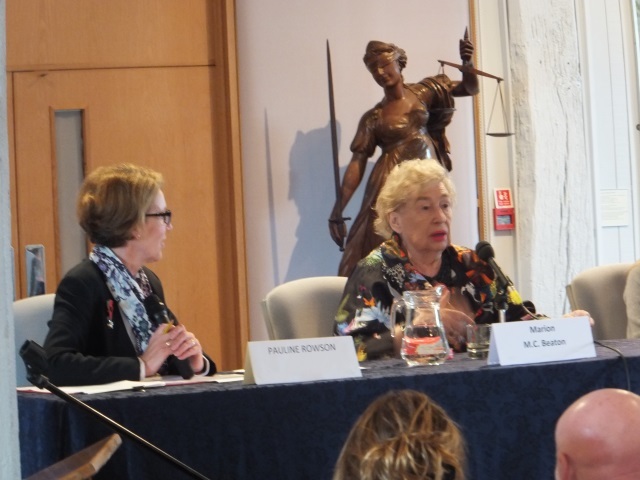 While Hilary Bonner, a former Fleet Street journalist spoke about her keen interest in creating psychological thrillers drawn from real life events. Sergeant Roger Wood spoke about aspects of intelligence gathering and monitoring suspects in regards to counter terrorism and the recruitment of covert sources of intelligence and cyber crime. 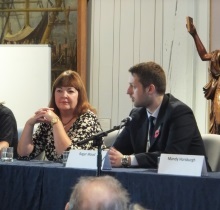 While DI Mandy Horsburgh, who works within Operation Fortress, one of the biggest, most significant stand-alone projects ever to be launched by Hampshire Constabulary, spoke about how they tackle the most serious violent drug-related crimes alongside organized criminal groups who pose the most risk to communities. 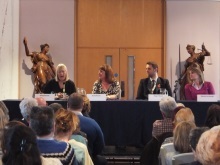 The panel debate was again followed by questions from the audience, a book signing and the chance for individuals to chat to the panel guests. 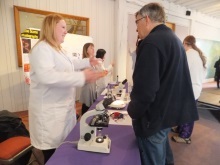 Pauline Rowson says, "It was a thoroughly enjoyable day set against the fantastic backdrop of the sea in Portsmouth Historic Dockyard. As well as local Portsmouth people attending there were those from Devon,London, Surrey and Dorset. 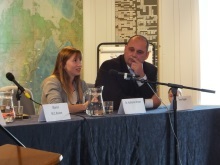 "I’d like to thank all the panel guests and participants who gave of their time and expertise so generously. 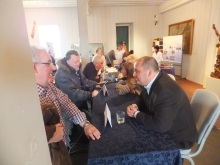 It was highly informative and intriguing." 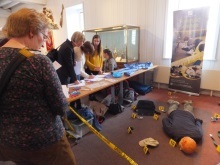 Also at CSI Portsmouth were the Hampshire Police Fingerprint bureau, a mock up crime scene provided by students on the Forensic Science Course at South Downs College and a forensic entomology display by the Institute of Criminal Justice Studies, University of Portsmouth. 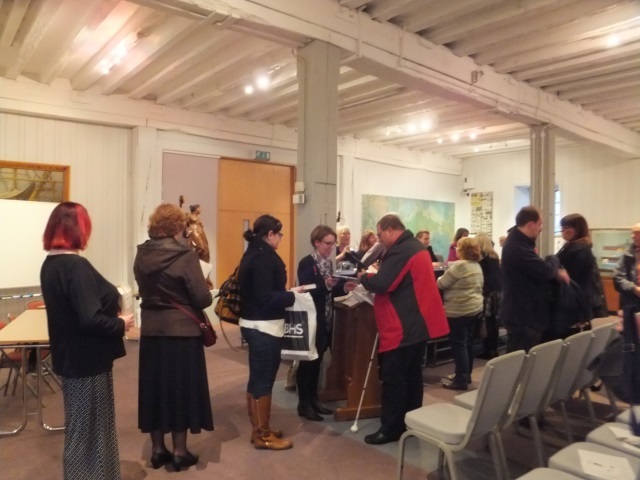 The Hayling Island Bookshop were on hand to sell the authors books. 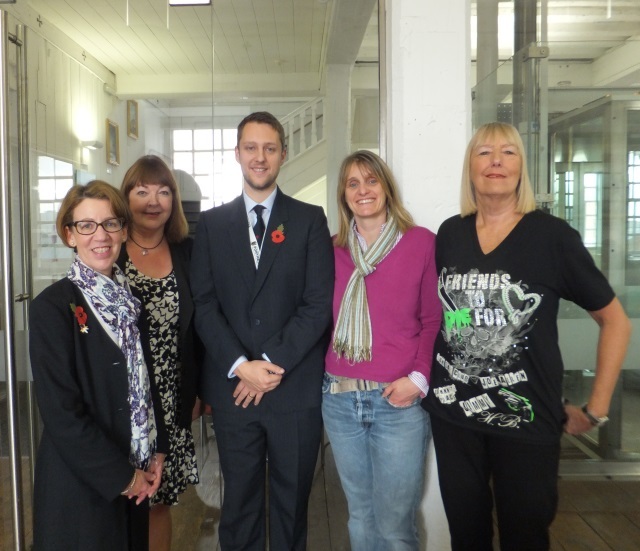 CSI Portsmouth, was sponsored by Bello, publisher Pan Macmillan’s digital imprint, which brings lost classics back to life.